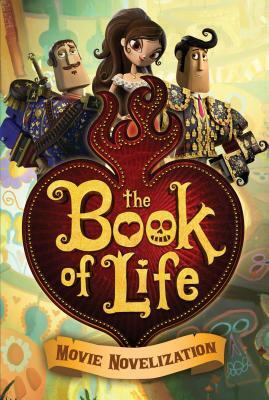 Manolo is trying to break free from his family’s traditions and create his own destiny in this retelling of the movie The Book of Life! Manolo has a simple dream—become the best musician in San Angel and capture the heart of his friend, Maria. But Manolo’s father wants him to carry on the family tradition to become a bullfighter, and to make matters worse, Manolo’s best friend is in love with Maria, too! As Manolo competes to win Maria’s love and make his own destiny, he must follow his heart and face his greatest fears as his journey takes him to strange and beautiful lands beyond his wildest imagination. Can Manolo succeed in rewriting his fate? Stacia Deutsch is the author of more than fifty children’s books, including the eight-book, award-winning chapter book series Blast to the Past. She has also written the tween novel Mean Ghouls as well as books for the Nancy Drew and the Clue Crew and The Boxcar Children series. Stacia has been on the New York Times bestseller list for the novelizations of the Cloudy with a Chance of Meatballs and The Smurfs movies. For new releases and school visit information visit StaciaDeutsch.com.